‘Internationalisation of higher education’ is a process of integrating an international, intercultural, and global dimension into the purpose, functions or delivery of higher education. ‘Internationalisation’ is in the DNA of Symbiosis. Right from its inception, Symbiosis has strived to create global citizenship amongst its students. Symbiosis conducts several activities for International students, wherein international students not only from Institutions of Symbiosis, but also international students from various colleges from Pune actively participate. Today, in India, the buzz word in higher education is ‘Internationalisation’. But, way back in 1971 Prof. Dr. S.B. Mujumdar, the then professor of Botany perceived the difficulties faced by international students studying at various colleges in Pune. He took the first step by creating ‘A home away from home’ for foreign students by setting up the ‘International Cultural Centre’ for international students. Due to this initiative, the local students started understanding the culture of different countries, and international students started getting the glimpse of the Indian culture, which propagates the philosophy ‘Atithi Devo Bhava’. As a mark of respect to the visionary academician Prof. Dr S.B. Mujumdar, Founder and President Symbiosis, and Chancellor, Symbiosis International (Deemed University), every year Symbiosis observes ‘International Students Day’ on 31st July, which is also the birthday of Prof. Dr S.B. Mujumdar. 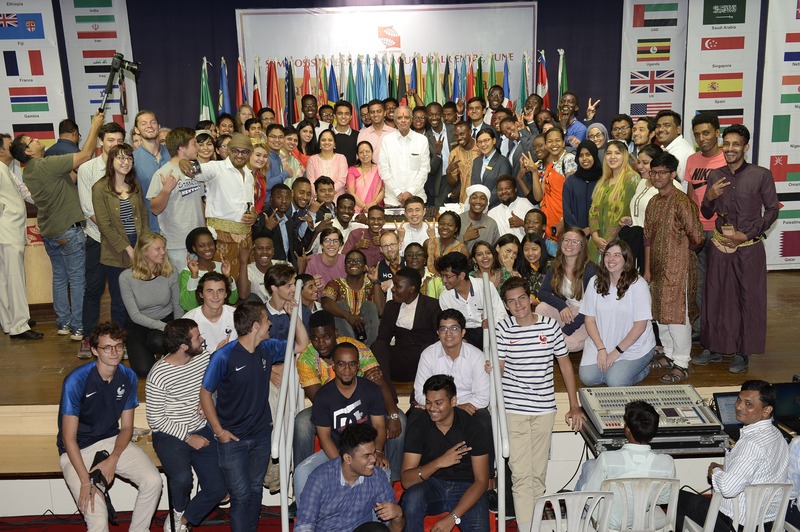 This year the ‘International Students Day 2018’ witnessed participation of international students from over 60 countries from various colleges in Pune. The two day event included various activities like an NGO visit, tree plantation drive, blood donation drive, food festival and cultural dance programmes organised by Symbiosis Centre for International Education (SCIE), the International cell of Symbiosis International (Deemed University). Students from almost 50 countries like France, Portugal, Kenya, and Tanzania presented famous delicacies of their countries. Indian and international students had a great time tasting and feasting on various cuisines. Students donated more than 300 books, pens, pencils along with a few sports kits to the students at New English School, SusGaon, Pune. The two day programme concluded with a cultural dance wherein students danced to the beats of Bollywood songs. Some students adorned themselves in traditional outfits right from the clothes to the jewellery and performed their traditional dance forms whereas others just swayed and had a gala time performing on hit numbers from their country. It was indeed a memorable evening with foot- tapping music as the crowd cheered for all.